What fun students had inquiring into energy and the "Grossology" exhibit! What makes a Jitterbug jitter? How can materials be used to make the needed energy? Watch the video to find out! This unit went by so quickly! At the end of each unit, students complete a summative assessment that involves inquiry, careful thought, and reflection. This unit’s summative assessment involved a mystery object? Students applied their knowledge of matter to determine if a mixture was a liquid or a solid. Students used hands and items to “play” in the mixture to make a decision. After exploring, each student defended his/her thoughts by writing an explanation. Some students explained that it was a solid because a fist wouldn’t go through. Some students explained that it was a liquid because when it was taken out of the container, it took the shape of wherever it was put (hand, floor, desk…). Many students even wrote about atoms and molecules. You may be wondering which answer is correct. BOTH ARE! This assessment could be either phase of matter, as long as it was explained. There is an actual scientific term for this, "colloid." While we discussed the word, it is not a 3rd grade term. The purpose of this activity was to justify and explain the properties of a solid and a liquid. Does food coloring mix more quickly with hot or cool water? We conducted this experiment and discussed the outcome. The food coloring mixed with both - but it mixed the quickest with hot water. Why? The molecules are further apart in hot water, allowing the food coloring to mix in more quickly. Students inquired into sound while rotating through three stations: 1. Rice Vibrations & Matching: sound waves through solids (pot and bowl) 2. Eggs & Brain Pop Video: Guess items in eggs based on level, pitch, and vibration 3. Pitch & Alphaboxes: Which glass has the highest, lowest, and middle pitch? (3 cm, 6 cm, or 9 cm) Afterwards, students searched through books for sound vocabulary words, using non-fiction text features as a guide (bolded words, glossary, captions…). Thank you to Mrs. Dunnings for coming in to run a station! Students inquired into the best way to transfer heat to melt an ice cube the fastest. Each group determined and tested a specific method. Some of the methods tested were: friction with hands, friction with the carpet, transferred heat from hair, transferred heat from a warm electronic force, warm water, the microwave, and hand sanitizer. Warm water and the microwave both melted the ice cube in about a minute. The other methods were close behind. This generated a fun and interesting conversation about heat transfer. Thank you to Mr. Child for teaching the class about the states of matter! After a demonstration with an ice cube, we enjoyed a star show under the dome. Last week small groups of students read an article about a form of energy (magnets, light, or sound). Students highlighted important details of the articles. (We’ve been practicing identifying details in a non-fiction passage.) This week, students detailed the facts on a poster – and then shared out with the class. We spent a lot of time discussing and practicing how to reword facts so that they aren’t just being copied. Students inquired and observed into a mystery object. I brought out a jar filled with liquid and an object. I walked around with the mystery jar while students silently observed with the senses of touching, smelling, hearing, and seeing. We discussed why tasting might not be such a good idea. After sharing observations, students began to question and wonder. What is in the jar? What's the liquid? How long has it been like that? What's that bad odor? I removed the object from the jar and put it in a bowl for further investigation….and then…I poked it with a pen. Wowsers--was that ever exciting! At that point I revealed that the object was an egg and the liquid was vinegar. Ask your child what happened when the egg was popped. This activity led to lots of other inquiries. Many students were going home wanting to conduct similar experiments. What if the egg was soaked for a week, rather than 2 days? What if a different type of liquid was used, or a different object? I hope some experiments and inquiry happen at home this weekend! Self-Organized Learning Environments (SOLEs) are created to encourage students to work as a community to answer a vibrant and challenging question by using the Internet. Students completed the first SOLE of the year this week. Students had 30 minutes to inquire into the following question: What makes the states of matter different? After the research, students gave a brief share out of their research notes to the rest of the class about their findings. Students engaged in an activity that required communication, cooperation, and open-mindedness. Pairs of students worked together to save Fred (a gummy worm), whose boat (a plastic cup) capsized...and his life preserver was under the boat! The mission was to use the few tools available to save Fred. Hands were NOT to touch Fred, the boat, or the life preserver. Only 4 paper clips could be used. Lots of problem solving and curious minds were at work! Throughout the first few weeks of school each student brought in a Me Bag. This activity encouraged inquiring to learn new information. Each student shared the item and explained how it represents him/herself. Then questions were asked about each item to gain a deeper understanding of the student. The Me Bags will continue over the next week or two. ​I didn't get a chance to share this site with the students (due to the "Heat Days"), but below is a really cool link about some dangerous journeys to school! Do you know your learning style? We all took a Learning Styles Survey. We're all different...we look different, talk differently, have different backgrounds, languages, and cultures. 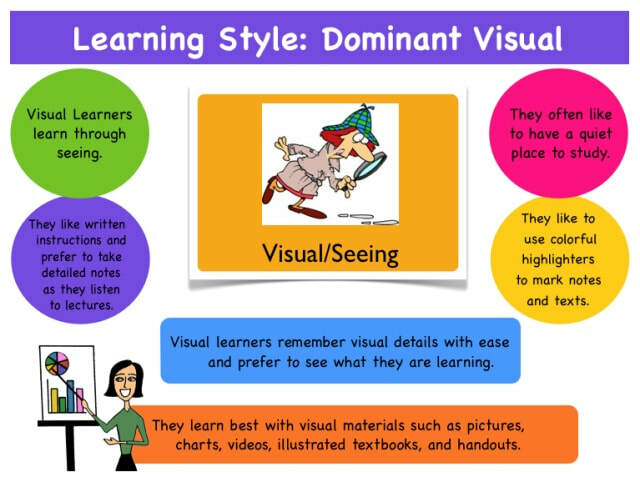 We also each have a dominant learning style. 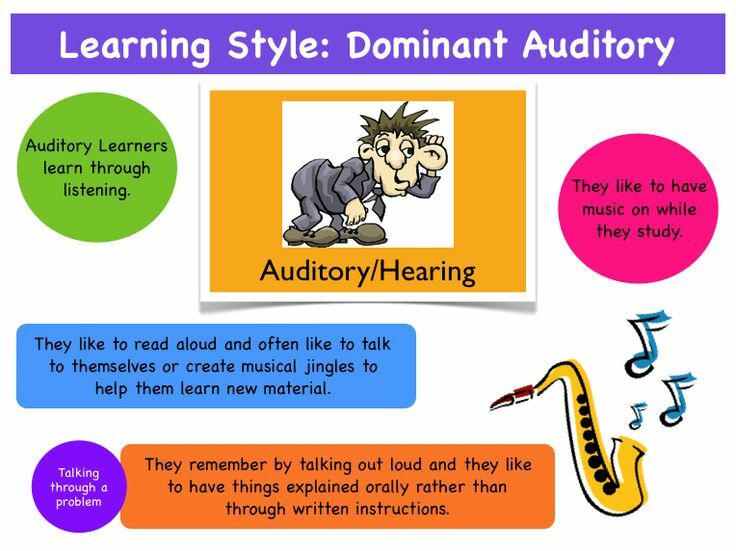 Being aware of your dominant learning style can improve your learning and knowledge. Click HERE to view the Learning Style Survey. After learning about each style, we made a class graph. 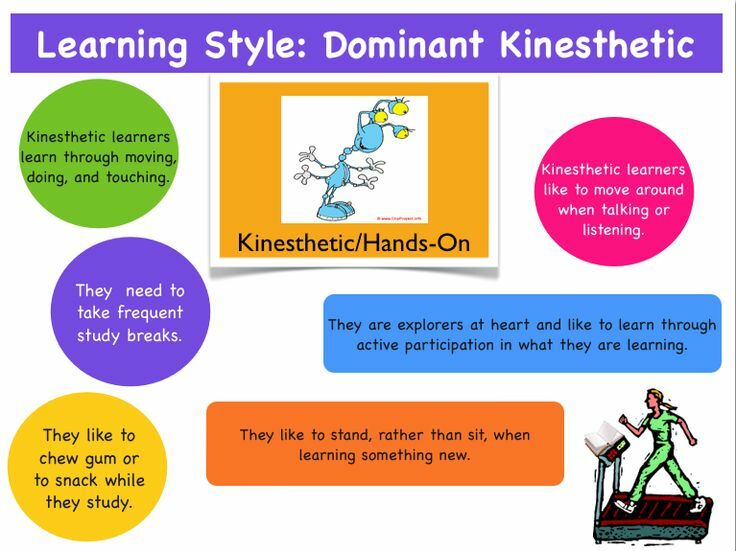 Our mode learning style is kinesthetic. Click on the learning style below the graph to view a graphic organizer of each learning style. Students worked cooperatively in small groups to build marshmallow towers. The object of this challenge was to inquire into, and to use, the limited resources provided (10 noodles, one marshmallow, one yard of tape, one yard of string, scissors, and 15 minutes) to build the tallest free-standing tower with a marshmallow on the top. One tower was left standing at the end of the challenge! When Mr. Robinson did this with the staff last year, ZERO towers were left standing--they ALL fell! One group of students successfully designed a free-standing tower. Way to go!